Ebamirababa is the title of a popular Yoruba praise and worship song, which roughly translates to "Help me dance" for God (I am grossly understating what "ra ba ba" means). 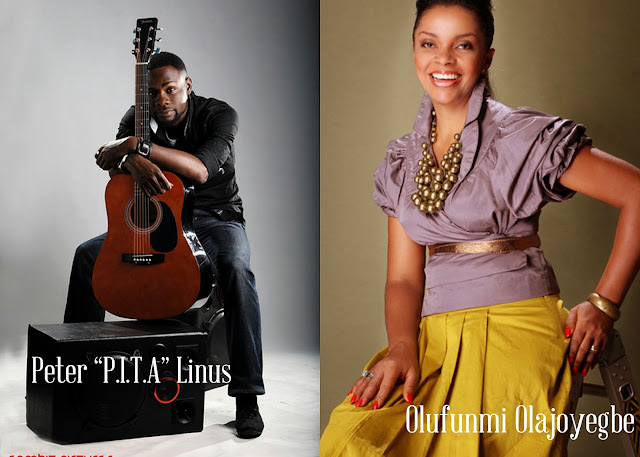 P.I.T.A (Praise in the Age) teams up with Olufunmi to render his own version of the song, complete with new verses and other additions. I had a few doubts about classifying this song as a duet because it is not exactly sung by only two people. They get a lot of help from the backup vocals as well. However, I have included it because it CAN be successfully performed by only two people. Initially released as a single, Ebamirababa was subsequently included in P.I.T.A's debut album, As I Am, which I personally own and recommend. It is not my favorite song on the album. That spot is firmly occupied by MmaMma Ekele. However, I certainly appreciate P.I.T.A's efforts in not just re-singing a regular praise and worship song, but in taking extra steps to make it his own song. Olufunmi lends her vocals in this song that I believe is worth listening to.